South has many great opportunities for students, and a 7-hour day allows for people to access this wide array of choices. However, a move to a 6-hour day would severely limit the choices and possibilities for South students. A 7-hour day is extremely necessary to make sure students have an equitable and enriching high school experience. One of the many great things about South is our music program. We have an extremely large musical program for a public high school and this allows students to access opportunities that they otherwise would not have access to in their daily lives. But for many students, a 6-hour day would destroy that possibility and make it harder to take music. There would only be space for one open elective in the day and many feel music could not be their first priority. “I would like to move up to Wind Ensemble next year, but I will not be able to do that if they cut it to a 6 period day because I have higher priorities,” said freshman Evan Kennedy. With a move to a 6-period day, there would also be many cuts in the music program. These cuts have mostly affected beginning classes and smaller classes, such as Bass and Concert choir. This would hurt beginning students that did not have the opportunity to have taken those classes before, yet who are still invested in music. 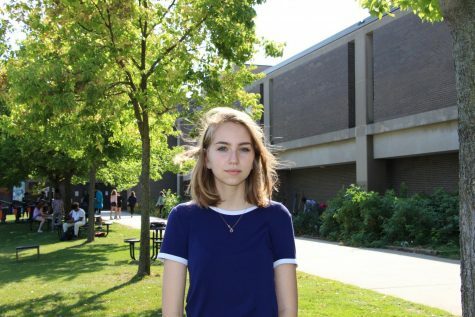 “The budget cuts would make it into a 6 period day, which would mean a lot less opportunities not just for myself but also for everyone else,” said Kennedy. Equity is important at South and a 6 period day runs counter to those goals. It makes it harder to take advanced classes, it cuts programming that many wouldn’t access otherwise, such as arts educations. It would make it harder to take career and technical classes that prepare students for work. It favors more privileged students who can enrich themselves academically outside of school. It’s not only music that would suffer from a 6-hour day. Many other elective classes would be less prioritized. Other art classes, such as ceramics and drawing, would be harder to fit into a 6-hour schedule. It also allows for students to take a break in a stressful day and take care of their mental health. Students need to become well-rounded citizens and a 6-hour day does not provide the time necessary for them to learn about as many interests that are not traditionally considered “academic,” as the core classes don’t give all the artistic and technical skills that are important in today’s world. “[electives] are half the reason I come to school. There are so many days I wouldn’t come to school without electives. It’s a nice break it my day,” said Weepie. A 7-hour day also makes it easier to complete graduation requirements. Minneapolis has a dismal 67% graduation rate and a 7-hour day is one way of improving that. A 7-hour day provides opportunities for students who to fail up to 6 quarters in a year and still graduate on time. “With a 7 hour day, you can take classes geared towards what you want to do in college and not have to worry about meeting graduation requirements,” said sophomore Jordan Dotson. This is very important because when people challenge themselves to take harder classes and fail, it would be very hard to complete their graduation requirements on time with a 6-hour day. A 7-hour day would allow students to redo failed classes without having to do credit recovery during breaks, which is not as helpful or educational and can create schedule conflicts. South has roughly 2,000 students and if we have a six-hour day there will be larger class sizes, which is not ideal. With larger class sizes, there is less attention to individual students. Teachers will have more of a workload grading and feedback on essays and papers won’t be as thorough. It will be harder to control classes because with more students there are usually more distractions. A lot of teachers like to connect with their students to check in and to build relationships and this will be much harder. 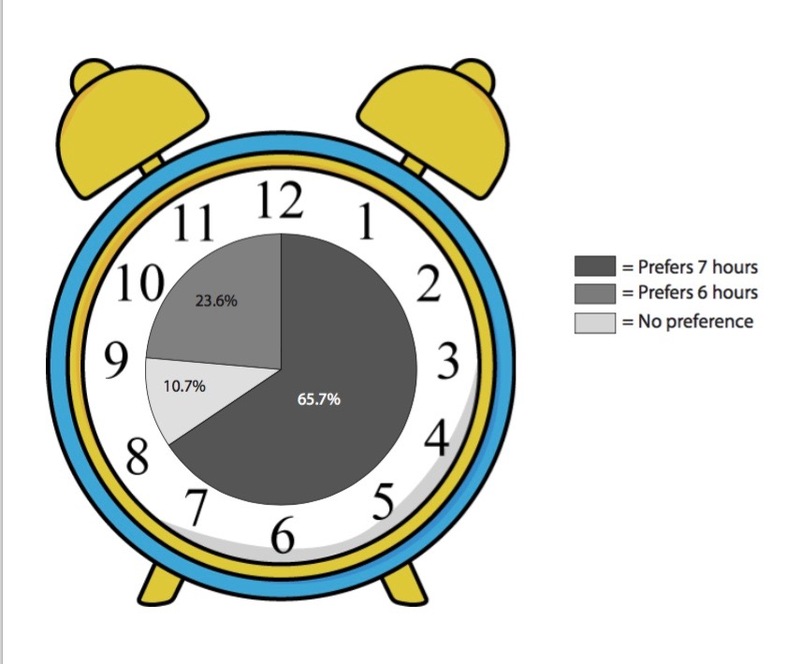 With a 7-hour day students also have more opportunities when it comes to getting ahead for college. “You would really only have one elective which is really bad because college is a thing some people want to go to,” said Dotson. Taking CIS and AP classes can give students college credit. Student who don’t have a lot of money for college can really benefit from taking CIS and AP classes because they can get college credit and save a lot of money. Having a 6-hour day will decrease the opportunities to take CIS/AP classes because graduation requirements will be more of a priority to take. Homework is a big part of high school life, but it’s hard for many students to complete their homework and get enough sleep due to busy family schedules, work, sports and other commitments. A 7-hour day would make it much easier for students to have a study hall in their day. This would in turn help students keep up with all subjects, as students would be able to keep up on their assignments better and further understand their classes. It would level the playing field on out of school work and give busy students the ability to stay caught up in school while supporting their family and participating in enriching extracurriculars. “7 hours is best for students and teachers,” said Dotson. It is the best way to make sure students have access to all the opportunities that South can give them, regardless of social and economic positions. It would allow for low class sizes and individualized attention to students, while its funding would reduce the number of cuts on many great teachers. It also allows for stronger academics and the flexibility to try those classes out. PSEO and other out of building academics would be easier to access. When the funding has been given back to the school, it is easy to see why seven periods is the way to go.